The most comprehensive and accurate map of Yucatan is that which has been copied for this pamphlet. In the several volumes of travel, descriptive of Maya ruins, are to be found plans more or less complete, intended to illustrate special journeys, but they are only partial in their treatment of this interesting country. The Plano de Yucatan, herewith presented—the work of Sr. Dn. Santiago Nigra de San Martin—was published in 1848, and has now become extremely rare. It is valuable to the student, for it designates localities abounding in ruins—those not yet critically explored, as well as those which have been more thoroughly investigated—by a peculiar mark, and it also shows roads and paths used in transportation and communication. 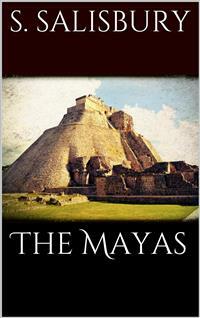 THE MAYASAND THE SOURCES OF THEIR HISTORY.